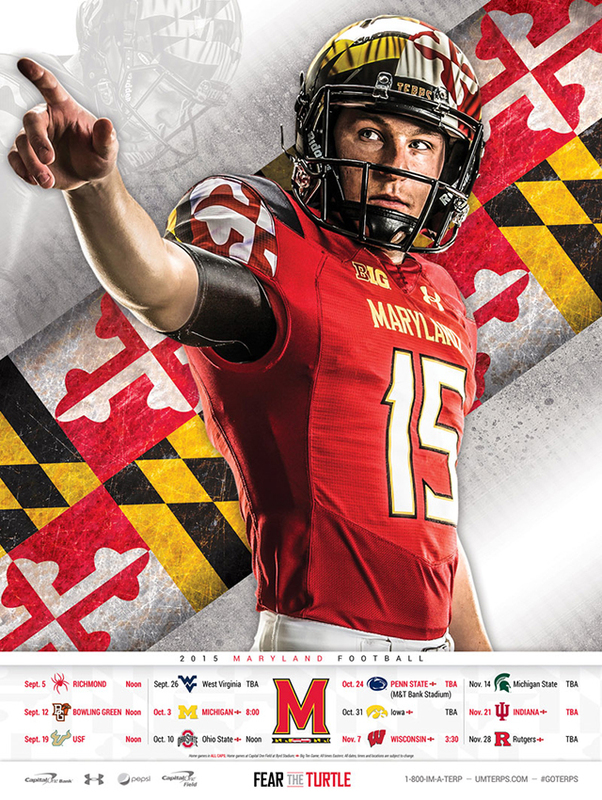 Not a bad debut season in the Big Ten for Maryland. The Terrapins finished third in the East Division behind Ohio State and Michigan State and won road games at Penn State and Michigan. But Maryland has much rebuilding to do, beginning with its defensive front seven. The Terps should start strong with four of their first five games at home. Randy Edsall was a controversial hire by Maryland in 2011. He left his job at Connecticut after the Huskies' 48-20 loss to Oklahoma in the Fiesta Bowl, never saying goodbye to his players. His first Terrapin team lost its last seven games and finished 2-10. John Feinstein of the Washington Post wrote that "Randy Edsall should be fired — today." 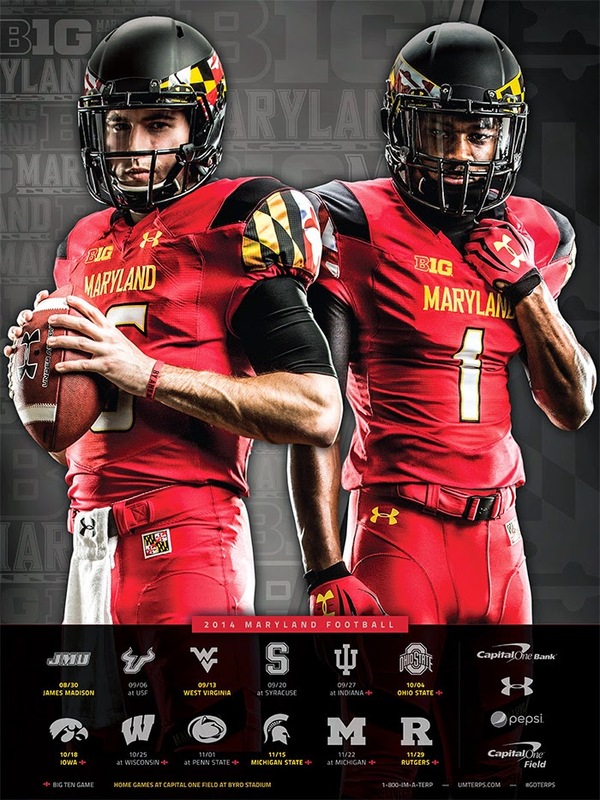 But Edsall stayed on course and it paid off in 2013 when Maryland earned a bid to the Military Bowl and finished 7-6. Now a new challenge awaits. An opportunity to make an impact in the Big Ten. 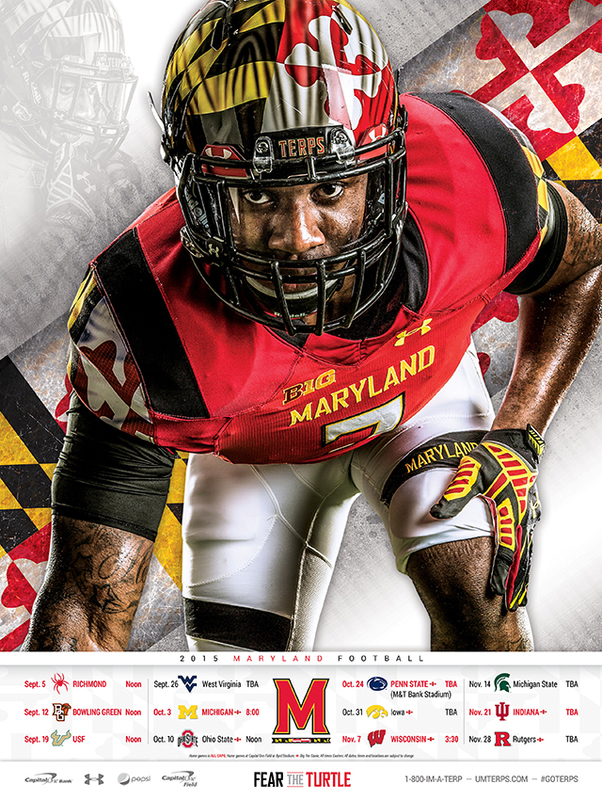 The Terps' first game in the new league is Sept. 27 at Indiana. Maryland wasn't half-bad in 2012. The Terrapins started 4-2, then lost their last six games after injuries wiped out what little depth there was on the roster. But there should be improvement in season three under Randy Edsall, the team's last in the Atlantic Coast Conference before moving to the Big Ten. Randy Edsall's first season at Maryland was nothing short of a disaster. The Terrapins lost their last eight games and finished 2-10. This after Ralph Friedgen guided the team to a 9-4 record in his final season as coach. And they call this progress? It's difficult to imagine a coach being on the hot seat after one season, but that's the case with Edsall, who would be advised to avoid another two-win season. You're only as good as your last impression, and Randy Edsall's Maryland Terrapins exited 2011 with a real stinker. The Terps were outscored, 42-0, by North Carolina State in the last 21 minutes of a 56-41 loss last Saturday. Maryland finished 2-10, a decrease of of seven victories from the 9-4 season logged by Ralph Friedgen in his final season as coach. Edsall's first season in College Park was nothing short of a disaster, with the Terps losing their final seven games by double-digit margins. The critics are howling. John Feinstein of the Washington Post wrote that "Randy Edsall should be fired — today." Jeff Jacobs of the Hartford Courant knew all about Edsall from his years covering the Connecticut Huskies. He wrote, "If anybody should have recognized a turtle, it's the people of Maryland." Wiz correspondent Greg Laughlin braved the elements in College Park, Md., on Saturday and took in the Atlantic Coast Conference matchup between Boston College and Maryland. The Eagles secured a 28-17 victory behind Rolandan Finch's 243 rushing yards, the most this season in an ACC game. Although the announced attendance was 29,945, you can see from photos that no more than 10,000 were in attendance at Byrd Stadium. To view Greg's full gallery, click here.